Stroll into Rico’s Pub in downtown Pullman on a Saturday night, and the sweet sounds of exquisitely performed jazz rise from the lower level of the establishment to greet you, evoking visions of one of the legendary jazz hotspots of the French Quarter in New Orleans. Think Preservation Hall. Sweet Lorraine’s. Or Irvin Mayfield’s Jazz Playhouse. It’s here, in this venue characterized by comfortable booths, subdued lighting, dark wood-paneled walls, and near-perfect acoustics for jazz, that longtime Washington State University School of Music Director Greg Yasinitsky and his jazz group Nighthawk hold court. The musicians enchant their listeners, delivering sounds best described by words like soulful, rough, smooth, raspy, light, and edgy—tones as nuanced as the sounds created by the human voice. Rico’s is the one of the oldest, continuously operating jazz clubs in the country, due in large part to its owners, the Johnson family: first Roger, and now his daughter, Tawny Starr Johnson. But Yasinitsky has also had a profound influence on Rico’s identity since he arrived on the Palouse from San Jose State University in 1982. 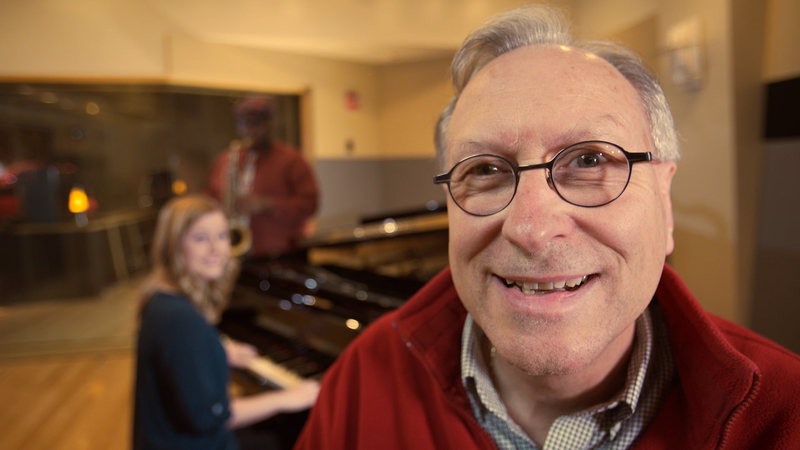 Director of WSU’s School of Music and Regents Professor of Music, he’s dedicated close to 35 years of his life to teaching, mastering, and performing jazz, classical, and other musical genres. Yasinitsky has worn numerous musical hats at WSU—usually simultaneously. For most of his tenure he’s directed the WSU Jazz Big Band while performing jazz and classical music, and composing. He’s conducted and instructed at countless festivals and music camps. He’s developed hundreds of enduring relationships as a teacher, bandleader, and performer while recruiting and nurturing scores of outstanding student musicians. And the school’s unflappable leader wouldn’t have it any other way. In fact, he credits his sometimes-frenetic pace for his achievements. Another of the music school’s defining values is apparent in the halls and classrooms of the Kimbrough Music Building on the Pullman campus. In contrast to schools with accomplished but often intimidating instructors, WSU’s School of Music is an egalitarian, bustling musical epicenter where student musicians grow as artists alongside a dynamic faculty whose musical works have been performed globally. Yasinitsky remembers listening to saxophone recordings as a child and telling himself “That’s it, that’s the instrument I have to play. It sounded amazing,” he recalls now, “and it still sounds amazing to me—it’s a terrific instrument. So, right away as a little kid, even before I had the chance to learn to play saxophone, I told people I was going to play saxophone, and then I was going to be a musician.” He didn’t play any instruments at the time—an earlier introduction to the piano didn’t stick—and he admits his family and friends were a little skeptical about his sax declaration. “My mother didn’t want me to play saxophone,” he remembers, “she wanted me to play trumpet. That was her favorite instrument.” But a visit to the local music store helped persuade her otherwise. Yasinitsky says a store employee handed him a horn, he blew a note, and the employee told his mom that her son‘s facial muscles and lips were a natural fit for the sax’s mouthpiece. “I was hooked after that,” he says. Yasinitsky credits Mark Lindsay, a musician and lead singer for the popular 1960s rock group Paul Revere and the Raiders, with influencing his early musical style. Yasinitsky owned the group’s 1963 single featuring its version of “Louie, Louie.” On the flip side of the disc was “Night Train.” Lindsay created a “honking saxophone” sound, in Yasitnitsky’s words, for the song that the aspiring musician embraced and sought to emulate. As he developed his sax-playing skills growing up in a suburb 10 miles south of San Francisco, Yasinitsky attended El Camino High School, which had an award-winning jazz band. Membership in the group was highly sought after and highly competitive, but Yasinitsky’s burgeoning talents gained him immediate membership. “That was great, that was exciting,” he says of his high school years. Outside of class, band members gathered regularly to experiment with jazz, pop, rock, and soul. Because Yasinitsky was drawn to composing and arranging and his classmates weren’t, it fell to him to write music and arrange parts for various instruments. He also composed music for the high school band, of which he also was a member. After graduating from high school, Yasinitsky’s opportunities grew. He began performing professionally with a variety of bands in the San Francisco area, playing popular hits at nightclubs and singles bars. And he began getting gigs to perform in bands that backed well-known stars when they performed in the Bay Area. That led to opportunities to perform with the San Francisco Symphony and the San Francisco Opera orchestra while Yasinitsky was pursuing his college studies. He played jazz, small group, big bands—whatever opportunities presented themselves—all while soaking up knowledge, refining his skills, and sorting out his career direction. The opportunities to perform a variety of musical genres aren’t as wide ranging on the Palouse, he says—though he still plays with the Spokane Symphony and finds his calendar jammed with jazz-playing dates. And, he adds, the quality of the musicians here outweighs other considerations. Machado Mijiga plays saxophone with the WSU Jazz Big Band, plays drums with Pullman-area contemporary music combos, and composes and records his own compositions. Yasinitsky is his composition instructor and mentor. “Taken for Granted,” a WSU recording of student and faculty performances, includes Mijiga’s composition “Heimdall’s Creek,” with Brian Ploeger, flugelhorn; Brian Ward, piano; Jo Asker, upright bass; David Ward, percussion; and Machado Mijiga, saxophone and spoken word. Composition instruction is a natural for Yasinitsky, who studied with two Pulitzer Prize-winning composers: Wayne Peterson and Joseph Schwantner. Peterson was Yasinitsky’s composition instructor at San Francisco State University, where he received a master’s degree in composition. He later studied under Schwantner at the Eastman School of Music, where he obtained a doctoral degree, also in composition. “Certain music speaks eternal truth in the way Shakespeare’s work speaks to truth,” Yasinitsky says. “But, the one thing Shakespeare and Beethoven can’t do is tell us what it’s like to be alive right now. I think that’s essential. Yasinitsky advised Mijiga on a musical composition, performance, and recording project funded through a WSU College of Arts and Sciences (CAS) grant. Mijiga’s research explored how various recording and mixing techniques influence a range of contemporary jazz compositions. As a high school junior, pianist Regan Siglin won the Romantic piano division at Musicfest Northwest in Spokane. The annual music festival was launched in 1945 to celebrate the arts and to encourage young people to study music and dance. Siglin recalls walking onstage at Spokane’s Bing Crosby Theater, opening her music, and thinking, “I love this.” That was the moment she decided to become a professional musician. Siglin’s first musical partner was soprano Samantha Schneider. Their many collaborations include “Bee! I’m Expecting You” by John Duke, recorded in recital at Bryan Hall. Now a senior, Siglin mentors younger pianists at the summer keyboards camp, a weeklong summer program that gives middle and high school students opportunities to soak up knowledge from WSU music professors. She studies solo piano with Jeff Savage. She also specializes in collaborative piano, instructed by Karen Savage. Collaborative pianists work with other performers and artists in their performances. As a WSU performance major, Siglin was required to accompany other soloists. She quickly gained a reputation as an excellent musical partner and received more requests from fellow musicians than she could accept. Siglin was selected as the 2015-2016 Presser Scholar, a top School of Music academic honor, and also was named the school’s top senior. She aspires to attend The New England Conservatory of Music for post-graduate studies. Trumpet and flugelhorn player Brian Ploeger was already an accomplished artist when he came to WSU to pursue a master’s degree in jazz and classical music performance and composition. He had previously toured with the renowned Maynard Ferguson Orchestra and worked many gigs performing jazz, popular, and contemporary music. He now wants to work as a band director at the college level. Yasinitsky describes last year’s big band as one of his best, with Machado Mijiga on first saxophone and Brian Ploeger on first trumpet. Ploeger’s masterful playing inspired Yasinitsky to write “Serpentine.” It was one of the performances that helped Ploeger land the International Graduate College Jazz Soloist Award for 2015 awarded by the prestigious DownBeat magazine. Yasinitsky instructs Ploeger as a band arranger and composer to give him a competitive edge. He also has placed Ploeger into teaching, playing, and mentoring positions to help others grow as soloists and ensemble players. Now in his second year, Ploeger directs WSU’s second jazz band. He’s taught beginning and advanced improvisation, and jazz history. He also contributed to a book on jazz improvisation written by Yasinitsky and recently published by Advance Music. Yasinitsky has won dozens of honors for his commanding saxophone performances, his exquisite jazz and classical compositions and arrangements, and his sensitive ensemble leadership. Although he stepped down as jazz band director after spring, 2015, he continues to teach, perform, record, and compose while heading the School of Music. One of his current priorities is to establish an exchange program with music conservatories in Italy. He’d also like to offer online degrees for music teachers, and he’s researching musical therapy and musical technology curricula. His international releases are numerous. Notable among them is a Vienna Modern Masters compilation, “Music from Six Continents” (2010 Series), which features two Yasinitsky compositions, “Concertino for Flute and Orchestra” and “Magic” for flute and chamber orchestra, written for and performed by his wife, Ann Marie Yasinitsky, with the ÖGZM Orchestra in Vienna, Austria, and the Washington State University Faculty Chamber Orchestra in Pullman. Last year, Yasinitsky’s jazz group Nighthawk released its debut CD/digital release on WSU Recordings. 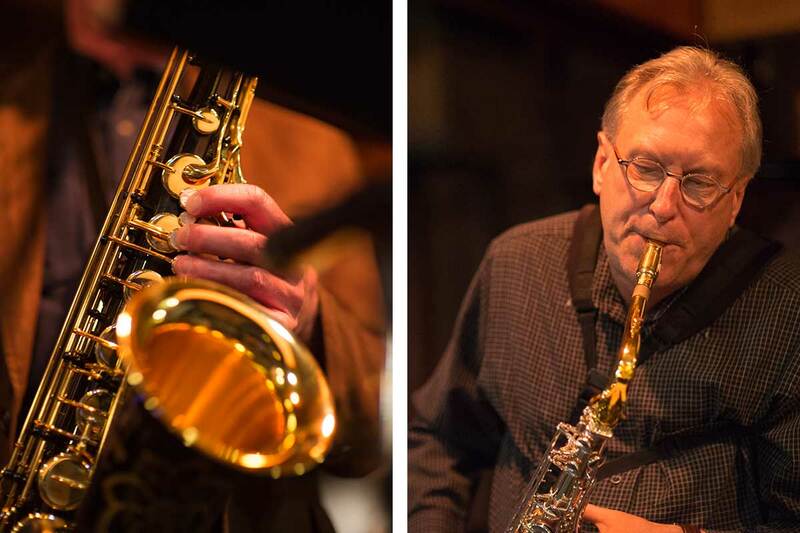 Yasinitsky, saxophone player Dave Hagelganz, bassist F. David Snider, and drummer David Jarvis recorded sizzling performances of originals on their album simply called Nighthawk. He also recently released Round the Korner, an organ-tenor jazz CD recorded by the Delbert Bump-Greg Yasinitsky Quintet. He’s finishing production on a new Latin jazz CD/digital release with Bump and hopes to soon complete a new WSU Jazz Big Band release. In the spring he plans to record with Gator Tail, a new WSU faculty quartet, and with a Northwest “all star” big band performing his compositions. No story about Yasinitsky is complete without additional mention of Ann, his wife of close to 40 years, a WSU clinical professor, and a talented flutist who has performed with symphonies around the world. They met by happenstance at San Francisco State University. Both were in the process of transferring to SFSU from other universities for their junior and senior years of college. Yasinitsky chose SFSU because a large number of the faculty were members of the San Francisco Symphony and he wanted to deepen his knowledge of classical music. An audition was part of the admission process to the music school. Ann and Greg were on campus on the same day for their auditions. Because SFSU didn’t permit auditions on the sax (faculty didn’t consider it a “real instrument,” Yasinitsky explains), he chose to play the flute, his backup instrument of choice. Whatever the first impression, it didn’t prove to be a permanent impediment to their relationship. Yasinitsky quickly became captivated by Ann’s knowledge of classical music and shortly thereafter asked her to give him flute lessons, a request he admits was motivated in part by his desire to get her phone number. A date that included tickets to a performance of the San Francisco Symphony was the official start of their romance. Ah yes, the sax. Seems it’s been as vital to Yasinitsky’s life as the blood coursing through his veins.